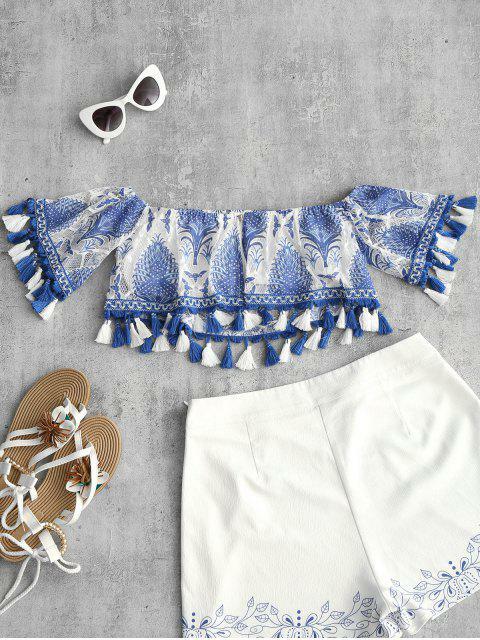 [36% OFF] 2019 Off Shoulder Printed Tassels Blouse In BLUE | ZAFUL .. This too is super cute but it if kind of weird to put on and zip up and the zipper is pretty cheap but I definitely recommend! It is true to size. Looks exaclty like the pictures. I just wish the under garment was higher quality and bigger in size. Love this top so much! exactly like the photo and such a good fit. not like a bandeau top it has a zip at the back but it it very well hidden! Crafted from semi-sheer mesh fabric, this trendy short-sleeved blouse features an elastic off the shoulder collarline, allover printed pattern, and an alluring cropped length which shows your charming waist. 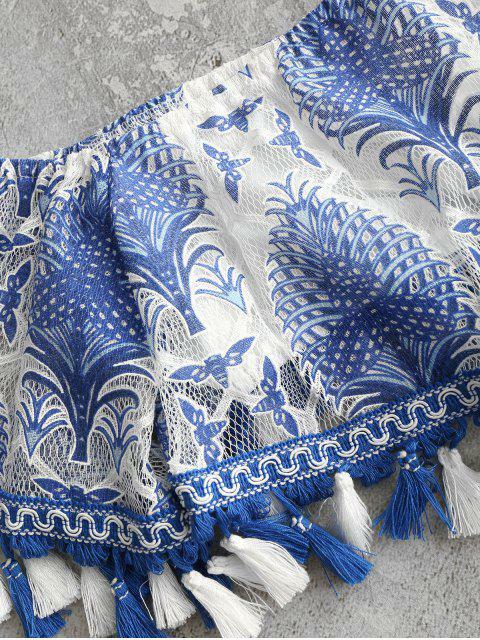 The tassels embellishment adds glamour and fashion, while the zipper closure at back gives an easy fit. Partially lined. Pair it with white shorts for maximum points.